An upcoming presentation seeks to help keep parents keep kids safe through their teenage years. The focus on what we need to know about our kids’ developing brains. 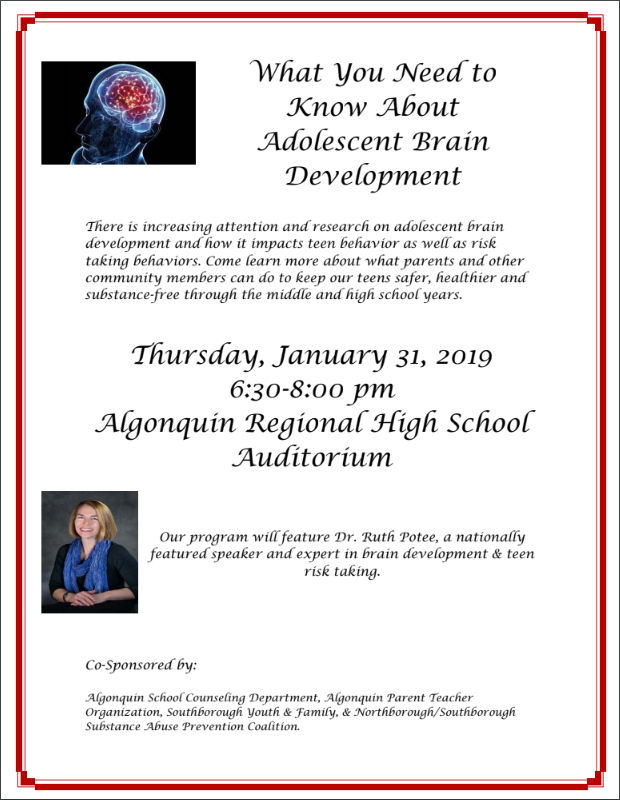 On January 31st at 6:30 pm in the Algonquin auditorium, Dr. Ruth Potee, MD will address the subject. 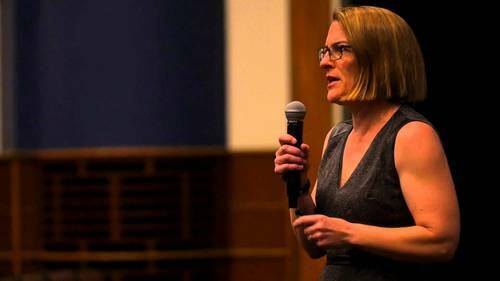 The flyer describes her as a nationally featured speaker and expert in brain development & teen risk taking. The event is sponsored by a number of groups invested in the well-being of Northborough and Southborough teens and tweens: Algonquin School Counseling Department, Algonquin Parent Teacher Organization, Southborough Youth & Family Services, and Northborough/Southborough Substance Abuse Prevention Coalition.